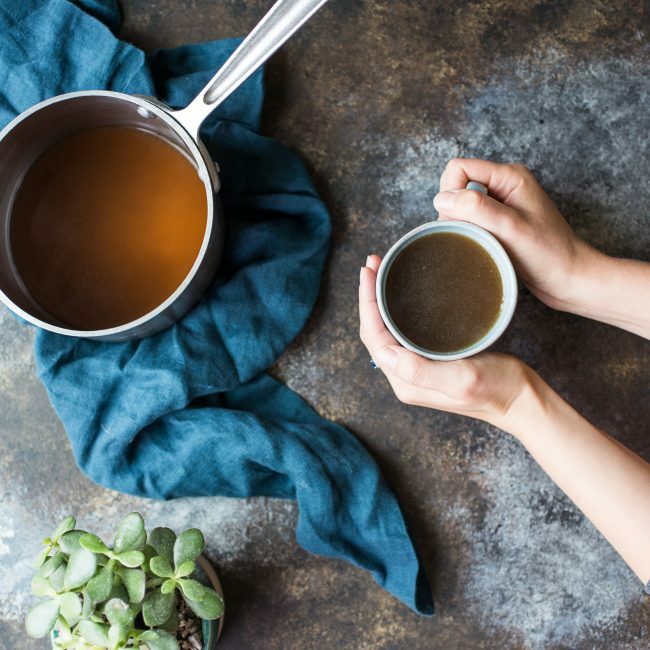 For ages, bone broth has been hailed as a healing elixir and an ideal way to get nutritious elements into the body and there’s a good reason for that. Bone broth has a number of benefits including supporting the immune system, aiding in healing the gut lining and reducing intestinal inflammation. Many of us have been making our own broths at home as a powerful addition to the paleo diet. Nowadays a number of companies are making it very convenient to enjoy bone broth without having to engage in our own home process. 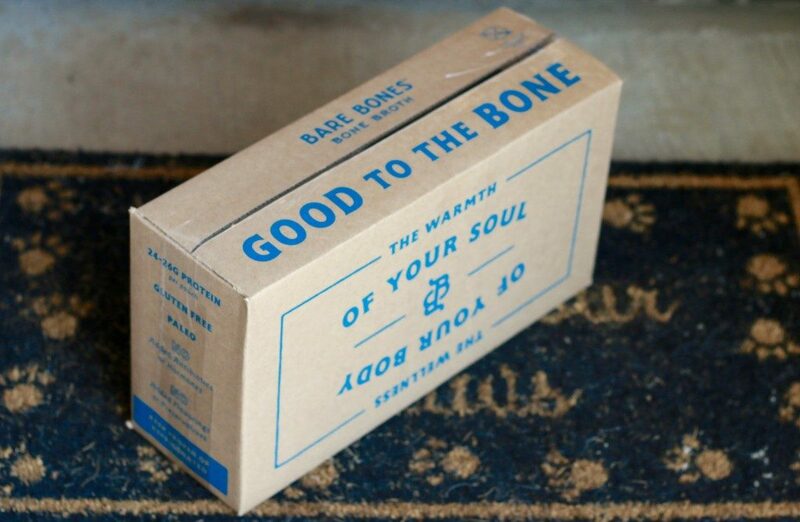 Bare Bones Broth is a company that I was happy to find and I was able try a number of their broths out, both by themselves and in my own recipes. The broth comes in 5 flavors: beef, chicken, turkey, rosemary & lemon and tomato & spice, and are loaded with nutrients, protein, wholesome ingredients and are free of preservatives – absolutely nothing artificial here! Each flavor also contains no antibiotics, growth stimulants or hormones, and is low carb, gluten free and soy free. 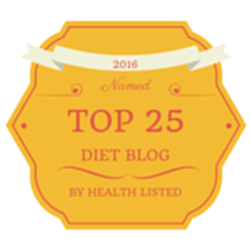 If clean eating is your goal, bone broth is a great addition to your diet. The greatness of this product doesn’t stop at their broth, though. Their packaging is just as fitting to their brand and makes a large impact on our individual health and the Earth. All of their broths are packaged in a BPA-free “spouted pouch” which is unique and convenient, making for an easy-to-pour and easy-to-store broth. The packaging has other great benefits in that it’s constructed in a way that the broth has a 45 day or more refrigerated shelf life without the use of additives or preservatives. They also require 50% fewer resources and energy to create and transport their broth, unlike other broths made in aluminum or glass. This results in less landfill and less fuel consumption – a total win on all accounts! Bare Bones becomes gelatinous when cold, in fact it’s much more gelatinous than many other broths I’ve tried, which is a great sign as that means more collagen for us to help with anti-aging! I really enjoyed incorporating their flavorful broths into my recipes, as well as sipping the broth on its own. For example, I used the Classic Chicken Broth in my Collagen Butternut Squash Soup (though the broth is definitely an option and not necessary) and my Mediterranean Turkey Breast Crockpot recipe. These recipes are absolutely delicious and such an easy way to get that extra collagen and those amazing nutrients incorporated into my body. I looked into the company to learn more about the brand and I was able to find some really interesting information. It was founded by Ryan Harvey after experiencing a personal tragedy with his father dying at the young age of 39 and his grandpa dying at a young age as well. Ryan observed that they shared one thing in common: an unhealthy lifestyle. Bound and determined to not go down the same path, Ryan turned to nutrition and exercise to add quality and longevity to his life. 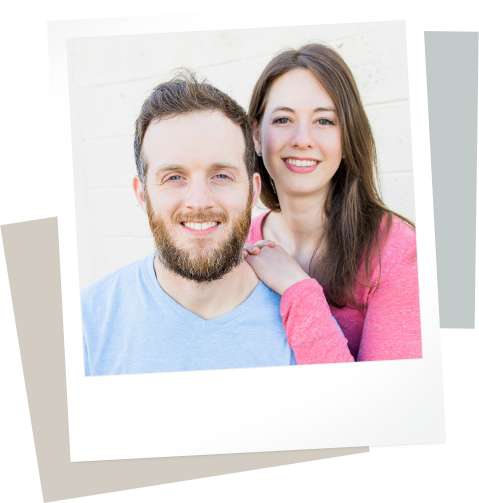 Along the way he discovered the wonderful benefits of the paleo diet and lifestyle as well as the healing power of bone broth, and with that Bare Bones Broth was born! Ryan Harvey, Founder of Bare Bones Broth pictured here with his wife. 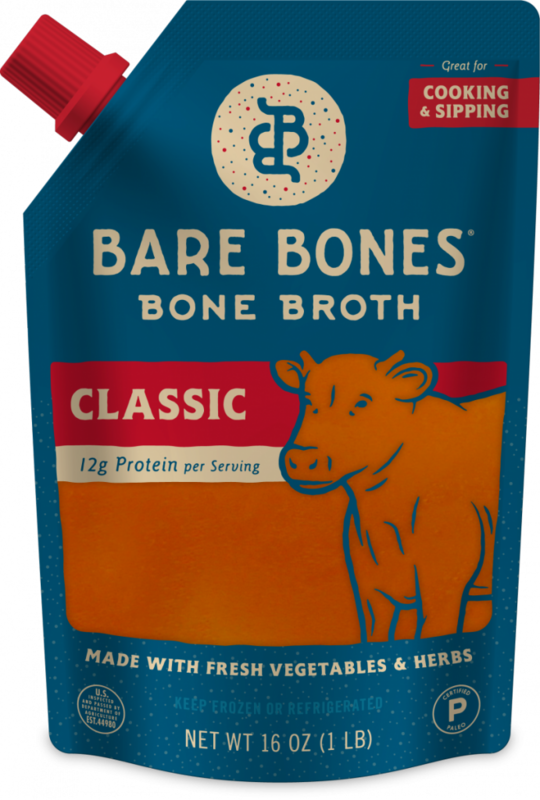 If you try Bare Bones Broth please tell me about any recipes that you create with their products. You can send them to me via my contact page.